Urbanica Design and Development is one of 3 winning firms that will create sustainable and energy efficient homes in the Roxbury area.Our design partner is Interface Studio Architects, from Philadelphia and they made their name designing and building the 100K house a few years ago. The project is conceived as a replicable prototype of efficient and sustainable residential construction for the city of Boston. The building consists of four three‐bedroom townhouses, approximately 1,750sf each. Sited on a currently vacant parcel in a vibrant urban neighborhood. The houses’ form and orientation serve to maximize natural daylight and solar gain for the photo‐voltaic array that will generate more electricity than is needed. Our approach includes two major strategies for energy reduction: first, a super insulated envelope minimizes heat transfer without relying on mechanical conditioning techniques; second, a feedback mechanism provides information and prompts to users in the house regarding their energy‐related activity. The project, in spite of its technological advancements, is inexpensive and simple in its construction, allowing transfer and easy replication in whole or part of its strategies to new and existing units in the region. Stay tuned for more updates on this project as we moves closer to breaking ground in a couple of months! The excitement surrounding Parcel 9 is fast rising in the cit; the project was featured on Boston Globe on May 29, 2012 with Casey Ross of the Boston Globe writing " For decades, Melnea Cass Boulevard in Roxbury has been no more than a high-traffic passageway to other parts of Boston. 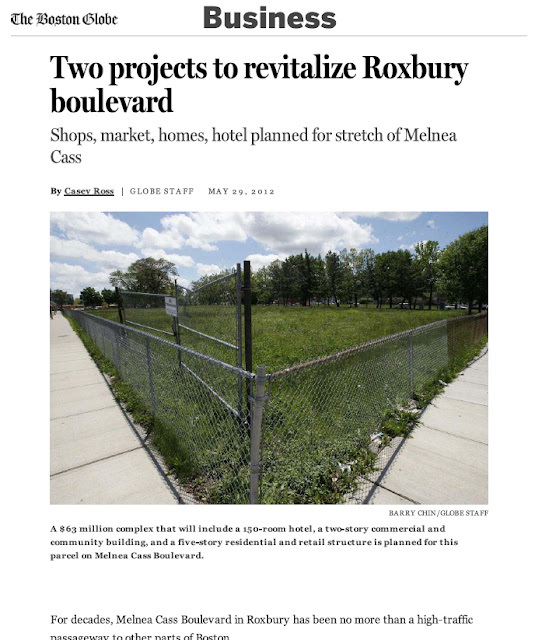 But under new plans approved by Boston regulators, Melnea Cass is due for a dramatic change that will result in new shops and restaurants, a supermarket, a hotel, and dozens of homes." There are high hopes for Parcel 9 and Parcel 10 to spur an economic revitalization in the Roxbury/ Dudley Square areas. Urbanica is proud to be part of this renaissance of area.